HUTTON, Sir EDWARD THOMAS HENRY, army officer; b. 6 Dec. 1848 in Torquay, England, son of Edward Thomas Hutton, a banker, and Jacintha Charlotte Eyre; m. 1 June 1889 Eleanor Mary Paulet (d. 27 March 1950) in Knightsbridge (London), England; they had no children; d. 4 Aug. 1923 in Chertsey, England. Educated at Eton College, Edward Hutton joined the 60th Regiment as an ensign in 1867. Service in the Zulu War (1879), the Anglo-Boer War (1880-81), the Egyptian campaign (1882), and the Nile expedition (1884-85) brought promotion. Marriage to a cousin of the Marquess of Winchester, and membership in Lord Wolseley*’s coterie of careerist officers, provided influence. Within the Wolseley ring, Hutton made a “mounted infantry” his particular crusade. Promoted colonel and appointed aide-de-camp to Queen Victoria in 1892, the following year he became commandant of the military forces in New South Wales (Australia). A driven officer with a fatal flair for public speaking, Hutton reformed the colony’s headquarters staff, created administrative support for its fighting units, and brought the military secretary under his command. As well, he advocated preparedness for imperial defence. His tactless promotion of increased defence commitments alienated the colony’s hard-pressed government, and he was recalled in 1896, a hero to himself and his friends, and ready for a larger challenge. 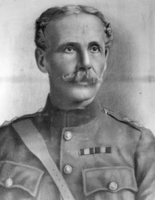 After brief service in Ireland, the challenge came in July 1898 when he was appointed general officer commanding the militia in Canada, where he attempted to replicate his New South Wales experiment. The appointment gave him the local rank of major-general. In late August the Huttons took up residence in Ottawa. Hutton’s allies in the War Office had protested the Colonial Office’s attempt to block his selection. The Colonial Office acquiesced on the condition that he would be recalled should he prove troublesome. Wolseley and Sir Redvers Henry Buller, both of whom had served in Canada, warned him to flatter the colonials rather than abuse them. Hutton, however, was recalcitrant, confident that he was “the very humble instrument of an All-wise Providence.” It helped to have his friend, the naïve and inexperienced Earl of Minto [Elliot*], appointed Canada’s governor general that same year. Minto shared many of his causes. Hutton’s civilian master, the minister of militia and defence, Frederick William Borden*, supported the general’s efforts to promote military service, reorganize the headquarters staff, improve training, encourage bilingualism, establish rigorous criteria for appointments and promotions, and create service units to support the fighting arms. He also backed Hutton’s efforts to create a self-supporting force capable of serving as a “little Canadian Army in the field.” Borden, however, objected to Hutton’s pre-emptive, arrogant methods and his attempts to bring military administration under his exclusive control. 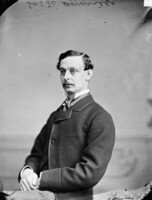 Moreover, many of Borden’s ministerial colleagues resented Hutton’s public advocacy of imperial obligations, especially during the divisive debate that preceded Canada’s participation in the South African War. Many Liberals, for their part, believed that Hutton favoured Conservatives for militia appointments. His battle with Samuel Hughes, a Conservative mp and a lieutenant-colonel in the Ontario militia, demonstrated that Hutton respected no man’s politics, especially when they challenged his personal ambitions. Both were competent officers, but they were also vain and intemperate men who craved rank and saw war as a means to advancement. Their most violent altercation occurred over the leadership of whatever troops Canada might decide to send in the event of a war in South Africa. Hutton had set his heart upon commanding a combined force of Canadians and Australians, and he sought this goal by insisting on an official Canadian contingent. Hughes, fearing that Hutton had omitted him from a lead role in any contingent, offered to recruit and command a volunteer unit. Hutton, however, refused to transmit this offer to the British government, and in August 1899 he asked Minto to block any Canadian endorsement. Hughes struck back like a doomed man, denouncing Hutton and Minto and reminding them of the stupidities of British regulars through the ages. His communication left Hutton with the impression that he was slightly mad. In fact, Hughes resembled no one more than Hutton. After Hughes advertised for volunteers, Hutton charged him with violating the British Army Act, which forbade unauthorized recruitment, and threatened to remove him from his militia command. When Canada decided – on 13 October, two days after the outbreak of the South African War – to send an official contingent, Borden would intervene to permit Hughes to accompany it in civilian dress and seek military employment with some other unit, an unlikely chance owing to the vindictive correspondence from Minto and Hutton to senior British officers. The government watched this public controversy with incredulity. Those in cabinet who opposed a contingent, including Joseph-Isräel Tarte* and Richard William Scott*, were convinced that Hutton and Minto were in league with Colonial Secretary Joseph Chamberlain to force Canada to commit troops. They were wrong, however: there was no accord, and Hutton and Minto disagreed on the necessity of war. During the summer of 1899, Hutton worked “patriotism and military enthusiasm . . . to a white heat” in the militia camps; Minto remained equivocal until the outbreak of war. In the end, the decision to send troops was a reluctant, politically motivated capitulation to the strident demands of Canada’s pro-war advocates. It was not helped, however, by rumours that Hutton had boasted he might have to overturn the government as he claimed to have done in New South Wales. The crisis over the contingent further embittered Hutton’s relationships with the government, and set the stage for his dismissal for insubordination. Antagonisms surfaced during the ceremonies marking the contingent’s departure. At the Quebec garrison’s banquet on 28 October for the officers, Hutton, intoxicated by his own rhetoric, predicted that Canada would send 50,000 to 100,000 men to defend the empire’s integrity. This declaration appeared to repudiate the government’s public promise that the 1,000-man contingent constituted no precedent for future contributions. The next day Hutton quarrelled with Borden and stomped off the parade square in a huff. Meanwhile Hutton’s disagreement with Lord William Frederick Ernest Seymour, the commander of the British troops in Halifax, had come to a head. What began in June 1899 as a petty issue of protocol grew into a personal vendetta. As the senior British officer in Canada, Seymour, in the event of war, was to assume command of the combined Canadian and British forces. Hutton refused to provide him with a secret report and routine information on British regulars in the Canadian militia. Such an exchange, he felt, would be an infringement on Canadian autonomy. When Seymour addressed him through Borden, Hutton appeared even more alarmed. Finally, Seymour appealed to Borden to help curtail Hutton’s growing insubordination and sent the minister a secret memorandum condemning Hutton’s behaviour while in command of the militia. Minto reported Seymour to the War Office. Its assessment would precipitate Seymour’s resignation in 1900; a subsequent military inquiry would uphold him. As the war continued, Hutton became increasingly erratic. Even Minto quarrelled with him over the composition of a second contingent. Hutton was determined to recruit mounted men from the militia cavalry, confident that their success would reflect favourably on his command. Minto suggested recruits from the northwest who could ride and shoot and had experience with rough terrain. In despair, he explained to his War Office friend Lord Lansdowne [Petty-Fitzmaurice] how unreasonable Hutton had become: “He can not get it out of his head the popular effect of the organization and thinks a great deal about the hats they are to wear.” Minto even asked Prime Minister Laurier to intervene. A minor dispute over the purchasing of horses for the second contingent hastened Hutton’s break with the government in January 1900. After he had refused to supply information, Borden secured cabinet’s approval to dismiss the general. Minto foolishly considered forcing his government’s resignation over the issue. When Laurier remained adamant, Minto informed the Colonial Office of his plans. Its reaction was immediate. Convinced that Hutton was “unfit by temperament and manners” for his position, it recalled him, effective 12 February. Created a kcmg in 1900, the following year Hutton became the first GOC land forces of the new Commonwealth of Australia. His mission and his methods were familiar as he strove to create, often in the face of political opposition, an integrated, well-equipped garrison and field force prepared for service at home and abroad. He consolidated the state militias and drafted a national defence policy. Its revision in 1904, to replace the position of GOC with an army council, precipitated his resignation, an issue brought to a head by a quarrel over payment for a secret cable. When this incident reached the War Office, its secretary of state noted his reluctance to recall Hutton since he “cannot keep his mouth shut, and would talk us into a difficulty every week.” After necessity had forced the secretary’s hand, the War Office made Hutton commander of the 3rd British Division. Before his retirement in 1907 he was promoted lieutenant-general, and in 1912 he was made a kcb. Although he returned for service during the Great War, to organize and command the 21st Division, in 1915 a riding accident restored him to retirement. He died eight years later at Fox Hills, his home in Chertsey, and was buried in nearby Lyne. A man of great energy, ambition, and organizational ability, and committed to defending the imperial estate, Hutton regarded the colonies as a laboratory for experiments in civil-military relations and a means of personal advancement. His vanity, passion for public speaking, scorn for civilians, disregard for democratic institutions, and lack of tact proved fatal liabilities, and made him appear to be, in the estimate of one former GOC, a “dangerous martinet.” His turbulent career undermined the imperial influence in Canadian defence and argued for the appointment of a Canadian to command the militia. British Library (London), Add. mss 50078-114 (Hutton papers); Add. mss 50275-357 (Arnold-Forster papers). LAC, MG 26, G; MG 27, II, B1; MG 30, E242. NSARM, MG 2. Australian dictionary of biography, ed. Douglas Pike et al. (16v. and an index to date, Melbourne, 1966-? ), 9. Stephen Clarke, “‘Manufacturing spontaneity’? The role of the commandant in the colonial offers of troops to the South African War,” in The Boer War: army, nation and empire: the 1999 Chief of Army/Australian War Memorial military history conference, ed. Peter Dennis and Jeffrey Grey (Canberra, Australia, 2000), 129-50. R. G. Haycock, Sam Hughes: the public career of a controversial Canadian, 1885-1916 (Waterloo, Ont., 1986). Carman Miller, The Canadian career of the fourth Earl of Minto: the education of a viceroy (Waterloo, 1980); Painting the map red: Canada and the South African War, 1899-1902 (Montreal and Kingston, Ont., 1993). Desmond Morton, Ministers and generals: politics and the Canadian militia, 1868-1904 (Toronto and Buffalo, N.Y., 1970). R. A. Preston, Canada and “Imperial Defense”; a study of the origins of the British Commonwealth’s defense organization, 1867-1919 (Toronto and Durham, N.C., 1967). Carman Miller, “HUTTON, Sir EDWARD THOMAS HENRY,” in Dictionary of Canadian Biography, vol. 15, University of Toronto/Université Laval, 2003–, accessed April 24, 2019, http://www.biographi.ca/en/bio/hutton_edward_thomas_henry_15E.html.